Protecting our children should be a universal goal. As parents, and as a community, we strive to keep them safe. We make sure they are supervised while they play, we use car seats and seat belts to prevent them from getting hurt in cars, along with many other things we do to protect them. Our schools shouldn’t be any different. In most cases, from the age of 5 until they are 18, children spend the majority of their day in the care of our local schools. We should have the expectation that everything that can be done is being done to ensure that the people they come in contact with are qualified and safe. 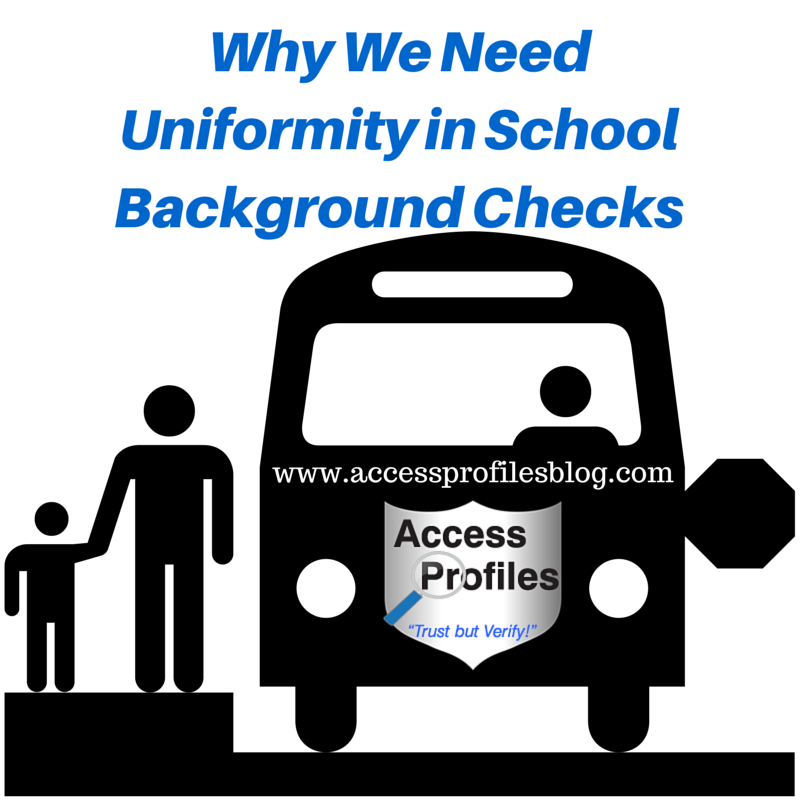 That is why I am calling for uniformity when it comes to school background checks. 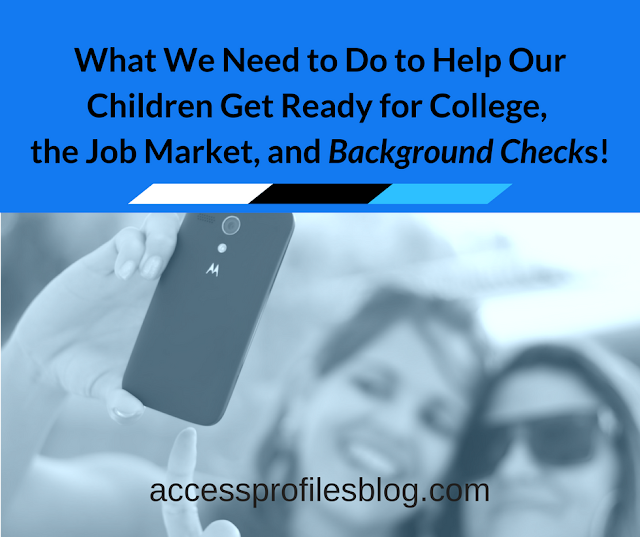 You may think that background checks for school employees, and in many cases volunteers, are already being done, so why worry? The truth is that individual states develop their own laws governing these checks, and not all of these laws are created equal. Some states require no background checks whatsoever. Other states screen only full-time teachers, not aides, substitute teachers, coaches, or volunteers. There are a handful of states that check all of the above. But even those states vary on what is researched and what sources are used to check them. School district size seems to play a role in determining the scope of school employee background checks. According to a study by Richard M. Titus and Carol J. DeFrances; “Criminal Record Checks of Public School Employment Applicants”, smaller districts tend to use more “informal sources” to screen their applicants. Things like personal references are used more in determining suitability for employment than criminal record checks. These smaller school systems may not even screen some applicants at all. What is even more frightening is a practice called “passing the trash”. This is when unsuitable or unsafe educators, coaches, etc. are allowed to resign instead of facing possible criminal charges. They then move on to another unsuspecting school, posing a possible danger to a new group of students. While some legislators are attempting to strengthen the checks done in our schools via the “Protecting Students from Sexual and Violent Predators Act” (representative Toomey in PA is one), a more uniform check among all our schools makes sense. Each school should be required to check state and local criminal records, a child abuse history clearance, and a finger-print based federal FBI background check on all possible teachers, staff, and volunteers. And a one time check is not enough. Periodic subsequent checks also need to be done to confirm continuing clean records. While there are those that believe this is excessive or an invasion of privacy, I disagree. We should all want the same thing. Getting hung up on questions like “are these background checks too far reaching?” or “shouldn’t people get a second chance?” need to be shelved when it comes to the safety of our children. I have written before of my belief that having a criminal record should not always keep a person from landing a job (“Background Checks - What’s Going, On, What it Means to You, and My ‘Common Sense’ Take on it All” and “Background Checks & Ban the Box: The Pendulum Swings”). However, those that prey on or put children in any kind of danger are the exception. Schools, and our legislators, need to feel a responsibility to all - to other schools, all students, all parents and even to other teachers - to share information on dangerous educators, volunteers, coaches, etc. Allowing cloaks of silence to follow fired employees, only to thrust them upon a possibly unwitting new victim, is unconscionable. Developing uniform screening methods and enacting laws requiring schools to share information on unsafe employees will help keep all our children safe. Please share my article and help spread the word! Thanks! For more on how Background Checks can help You, visit my blog at www.accessprofilesblog.com. Leave your email and you will get one new article each more filled with information to help You and Your Small Business (and I promise, no Spam!). 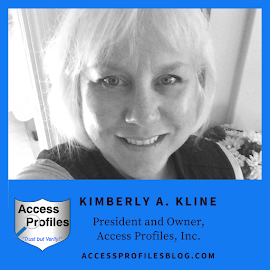 Let’s Connect on LinkedIn, Facebook, Twitter, and Google+ too!